As the world burns, and our Supreme Court here in Canada is about to decide tomorrow on whether or not physicians should be permitted by law to kill their sick patients, a word on the extravaganza the Americans call their ‘Super Bowl’, to distinguish it from any other kind of ‘Bowl’ which, in the U.S. of A., refers apparently to any football event. I know from second-hand accounts that the game ended on a controversial note, with the Seahawks QB attempting to pass on the one-yard line, when he had three downs to go, and one of the best running-backs in the league. 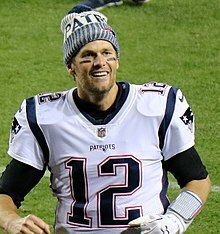 Conspiracy theories abound, swirling around like a vortex after the ridiculous ‘deflategate’, with the underinflated football used in the game penultimate to the Super Bowl which, for some mysterious reason, favoured the passing style of Tom Brady. It would be difficult for me to care less, but please do not misinterpret that comment as a dislike or even hatred for sports. In fact, I love sports, and have enjoyed many pleasant hours playing various kinds of them at a recreational level, even though, partly via the circumstances of my life, I mostly enjoy solitary physical activities, like cycling, kayaking and hiking. Perhaps I find them more conducive to prayer and reflection, or perhaps it is due to the memory that no one wanted to pick me for a team as a wee lad. You know, past traumas and all that. So allow me to clarify that I find it very difficult to care about professional sports which have, by and large, become a bloated, idolatrous entity, blown vastly out of proportion to their importance to our culture. As the well-worn analogy goes, sports arenas are our new cathedrals, and the players our new panoply of saints, to whom we offer devotion and praise. Grown men quite literally weep and gnash their teeth when their team seems to be on the verge of losing, or winning; people riot on the streets regardless of the outcome. Much of our lives revolves around sports, and even those who are not ‘fans’ (short, of course, for ‘fanatics’) are caught up in the hype of the big events, Stanley Cup, playoffs, Super Bowl, and so on. I, for one, bowed out of this charade a long time ago; in fact, I cannot ever being a member, not least for the reason that I would rather play sports than watch other men play them. Of course, watching sports gives one a sense of vicarious enjoyment, especially if one does play the sport in question. Seeing the cyclists of the Tour de France pedalling through the glorious scenery of the Pyrenees, one can imagine oneself doing the same thing, perhaps a tad slower, of course, on a less expensive bike, and with a bit more clothing. Yet what have sports become? We may judge the value with which we hold a thing by how much money and time we are willing to spend on it, and we as a culture spend far too much money and time on the ultimately rather utilitarian activity we term ‘sports’. Parents devote their entire weekends driving their children, boys and now girls, from game to game, tournament to tournament. Sunday Mass or service? Cultural activities? Reading? Music? Do they even consider such a scale of priorities? At the professional level, sports have become a money-driven machine, with their millionaire players selling their set of skills to the highest bidder amongst the billionaire owners. Team loyalty? So long as they pay me enough; and if ‘my team’ does not perform well, I can be traded before the playoffs. Geographical loyalty, and rooting for the ‘home team’? How many players are actually from the town or city whose name the team adopts, or even from a contiguous region or country, for which they play? How many actually even live there outside of training season? revolve their body and its training until, in their mid-twenties, it is worn out, and they are left disillusioned. I wonder at times especially of the female athletes, delaying marriage and family, as they train and morph their bodies into muscular male-like strength and proportion for the sake of attaining ‘gold’, or something far less. No matter how much a human trains (world record for the 100 metre dash, Usain Bolt, 9.58 seconds), some animal will always beat him handily (100 metres easily in 5.95 seconds by Sarah the 11 year old cheetah, well into late-middle-to-old age for the large cat, and ‘Sarah’ does not even train, but lies around most of the day). The Church warns against the danger of such a ‘cult of the body’, a “neo-pagan notion” leading one “to sacrifice everything for (the body’s) sake, to idolize physical perfection and success at sports”. Of course, I hope most athletes do develop other skills and virtues, particularly of the mind, to which the body is most definitely subordinate, so they can thrive in terms of what it really means to be human, beyond their brief athletic careers. We must always bring ourselves back to reality and realize with the full focus of our intellect that most sports are simply a bunch of guys throwing, hitting and chasing a piece of rubber around various kinds of surfaces. They are not the point of life. Yet much of our ‘lives’ are consumed by them, and many men spend their weekends and time off watching younger, fitter men, often in tight suits and skimpy rugby shorts (yes, I know, a cheap shot…I know it’s all for reducing wind resistance and surface area to grab, but still…), running or skating around an arena. Harmless fun, to an extent, a vicarious form of warfare preventing other real strife, perhaps, a way to perfect one’s body, yes, but only if one participates in ‘real life’. I read recently one author claim that the prestige of Notre Dame University in Indiana as America’s ‘flagship’ Catholic educational centre rests largely on the strength of its football team. I suppose there may be a convoluted connection between such athletic prowess and academic success but, if so, we might want to reconsider the connection, especially given ‘Notre Dame’s’ own questionable fidelity to the truth, especially of the theological sort. What are the Fightin’ Irish fightin’ for? Again, however, even with the many positive aspects of sports, let us bring things back to reality. Case in point: I wonder how many Canadians realize that as I write, our Supreme Court is about to decide on the euthanasia question, turning our physicians into legally sanctioned murderers (as they have already done with the ‘abortion question’ four decades ago). I fear that a much larger percentage of the men, and of course women who now make up many of the ‘fans’, of our land neither know nor care, but are more than ready to tune in to the big-budget-but-perennially-losing Maple Laughs, sorry, Leafs… (tomorrow, Friday, 7 pm against, ironically enough, the New Jersey Devils…and, yes, I had to look it up).